The Little-known True Story: During World War I (1914-1918), the American-led Commission for Relief in Belgium (CRB) and its Belgian counterpart, the Comite National (CN), did what was thought to be impossible — save from starvation an entire nation that was trapped in the middle of a world war. The CRB and CN initiated, organized, and supervised the largest food relief the world had ever seen. Nearly 10 million Belgians and northern French trapped behind German lines were saved from starvation during four years of the Great War. Young, idealistic Americans volunteered to go into German-occupied territory as CRB delegates to guarantee the imported food would not be taken by the Germans. 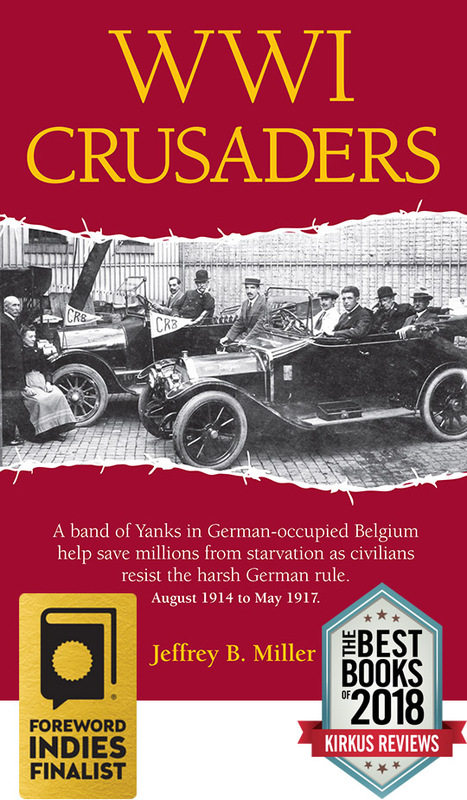 These humanitarian crusaders were committed to helping the civilians and maintaining strict neutrality as they watched the Belgians suffer under the harsh German regime. The relief efforts faced huge logistical challenges, international intrigues, and internal conflicts between the CRB and CN leaders. It is one of America’s greatest humanitarian efforts that few know of today. April 14, 2019, 2 p.m. Denver Public Library Lecture Series, Gates Room, Fifth Floor. Recent Appearances: In Denver, the Tattered Cover Book Store, the Applewood Kiwanis Club, and the Denver Southeast Rotary Club. Contact me if you'd like me to talk to your group! This blog has followed my research, writing, production, marketing and sales of Behind the Lines. Now it follows the same journey but with WWI Crusaders, while reminding readers of why we should not forget World War I and the Commission for Relief in Belgium.